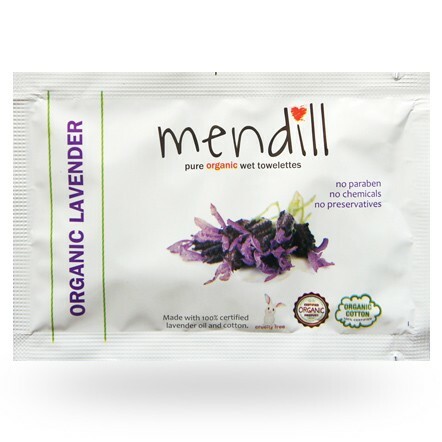 Mendill’s organic towelettes are formulated with the finest, 100% certified organic, therapeutic essential oils. The cotton used in the actual towelette is also 100% organic. 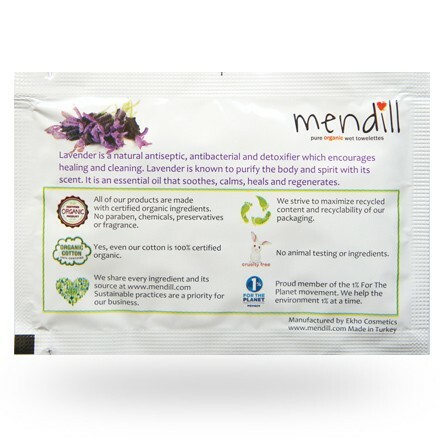 Our towelettes are endowed with antibacterial, antiseptic, and unique therapeutic properties. Clean and refresh the hands and the body leaving the skin fresh and smooth with towelettes dressed in organic essential oils. Available in orange, lavender, lemon, eucalyptus and tangerine. Safe to use on face, hands and body. Safe to use on children and babies. 100% organic cotton and essential oils. Your welcome! I wouldn't normally recommend wipes for facial cleansing, but they work beautifully. I would recommend them for days when you are not wearing make up or SPF, although they would be an excellent addition to a double cleansing routine. That's a brilliant addition to the catalogue. Thank you for sharing, AlisonH! I received these as a trial product and really love them. 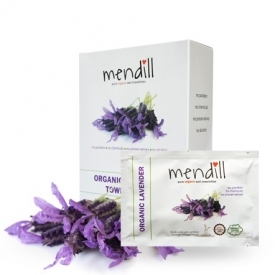 100% organic cotton towelette with essential oils. Not too wet, nice big size, individually wrapped. A nice alternative to the usual cleansing wipe for both home and travel.